Thai Spring Rolls offers a full menu of authentic Thai cuisine. As a family-run restaurant, we want customers to know that we value them as our beloved culinary friends, and that we are always thrilled to welcome patrons to our establishment. Our quality food and interior decor are inspired by the vibrant history and culture of Thailand. Similarly, our chefs draw upon their country’s heritage to provide a unique and delicious taste in every recipe. With an extensive variety of Thai dishes, our menu caters to a wide range of tastes. 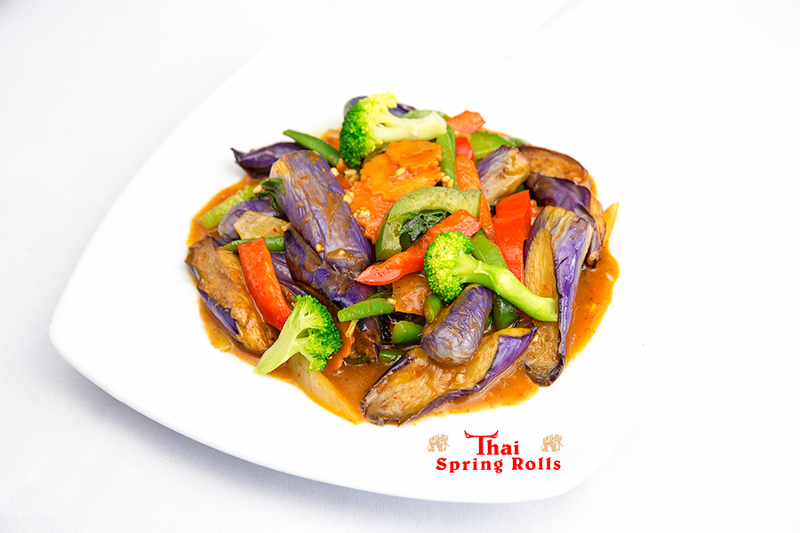 At Thai Spring Rolls, you can enjoy fresh, spicy Thai food based on traditional family recipes. As much as we promise to bring the heart and soul of Thai cuisine into our way of creating and serving, we value quality over quantity, and we believe that this shines through in every aspect of our restaurant. We hope that you enjoy dining with us. Our servers are eager to accommodate customers’ needs, and they will gladly assist you should you have any questions or concerns. We always appreciate feedbacks as we continue to strive to enhance your experience.